Initially recorded 1971 "Boz Scaggs and Band"
Initially recorded 1972 "My Time"
Initially recorded 1973 "Slow Dancer"
I´ll be damned I got you trained. Thats why I, I....oh I know..
For lovin´ me the way you do. Even though I know pretty baby that I...I.. Initially recorded 1975 "Silk Degrees"
Initially recorded 1969 "Boz Scaggs"
I need my baby here at home oooh yes ! Boz Scaggs is a tough man to pin down. He's covered some diverse territory to date: from burning electric blues to big-band hippie-rock; from blue-eyed soul through to cool disco; from L.A. studio slickness to stripped-down roots R&B. This might seem to brand Scaggs a study in contradiction. 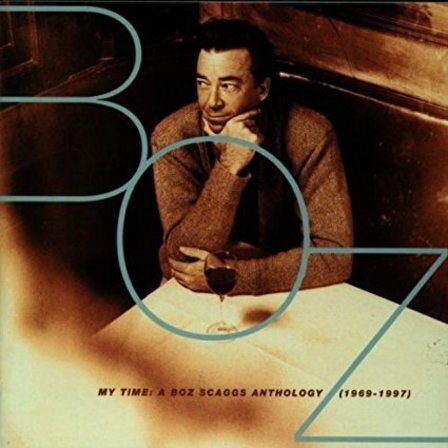 But Boz is a natural eclectic, whose unique synthesis is a testament to taste, curiosity and a passion for music of many genres. The result has been a legacy of classic work, much of which is collected within My Time: A Boz Scaggs Anthology (1969-1997) is a smooth glide through an evolving career that simply - yet intriguingly - defies categorisation.